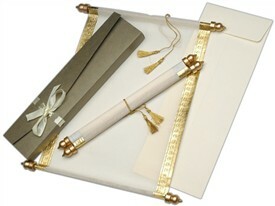 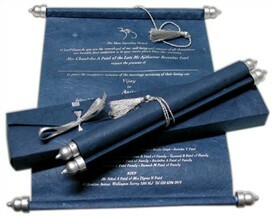 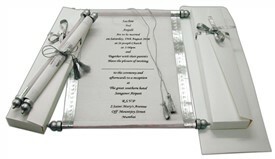 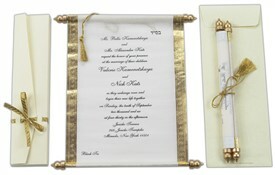 S84, Cream Color, Handmade Paper, Scroll Invitations, Jewish Invitations, Box Scrolls. 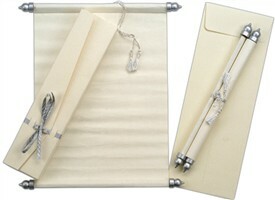 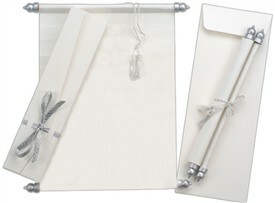 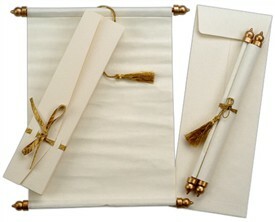 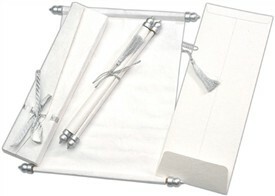 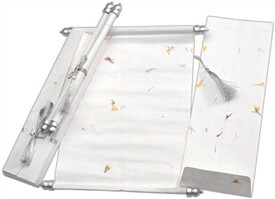 Cream Flower handmade paper scroll- Elegantly framed and designed to soothe. 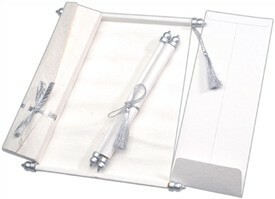 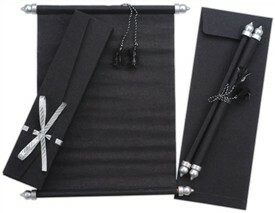 This organic piece of beauty is for the sophisticated ones. 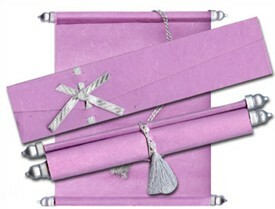 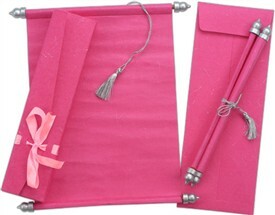 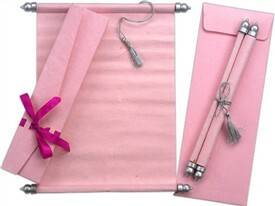 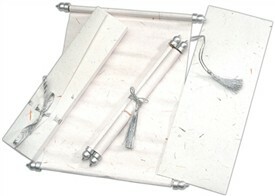 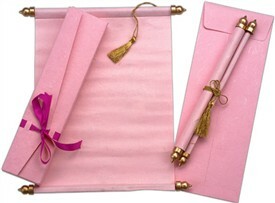 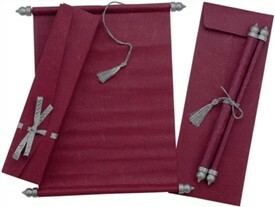 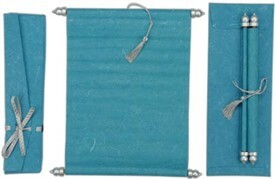 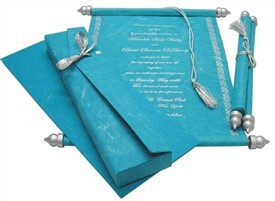 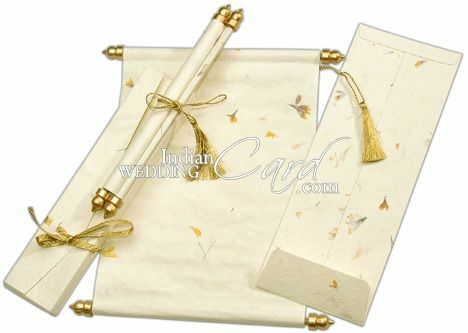 The cream-colored flower handmade paper in the form of scroll card redefines the meaning of classic beauty. 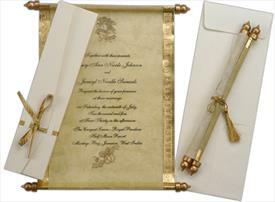 The golden design bars that frame the card add a touch of glitter to it. 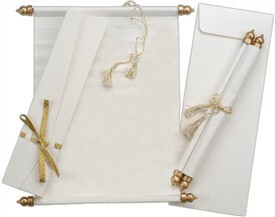 A golden ribbon ties the box envelope. 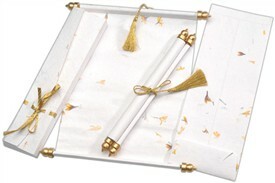 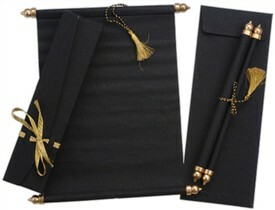 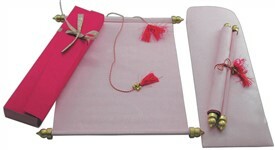 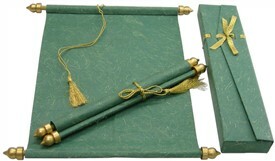 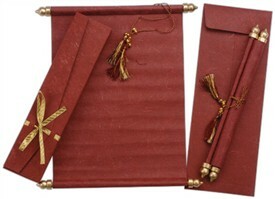 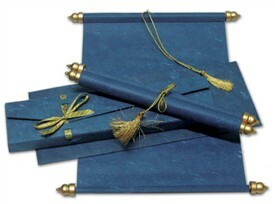 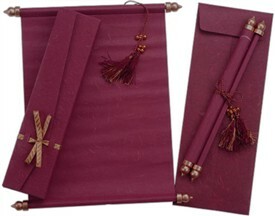 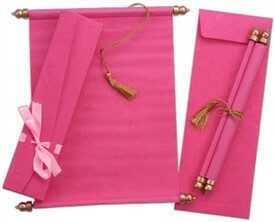 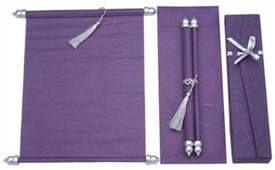 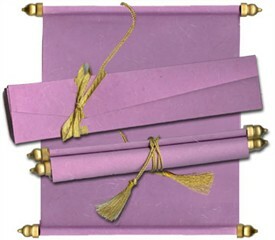 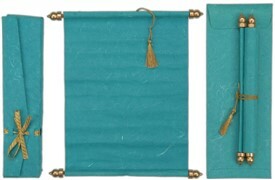 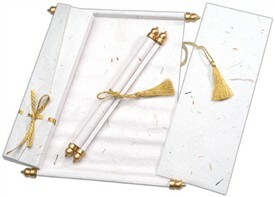 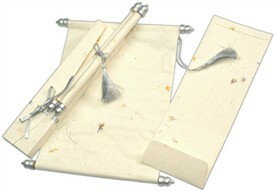 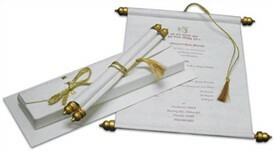 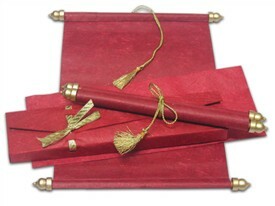 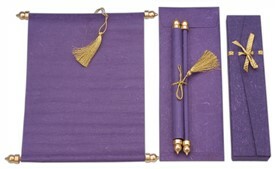 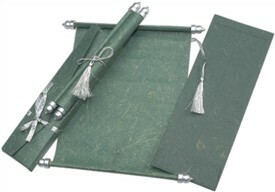 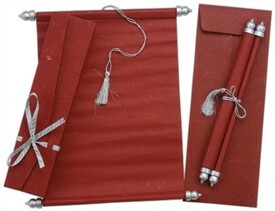 Cream colored handmade paper with Marigold and grass mottling used in scroll (100gsm), box (300gsm) and envelop (10gsm) with golden bars, ends and silk tassel tied by a golden Zari ribbon.